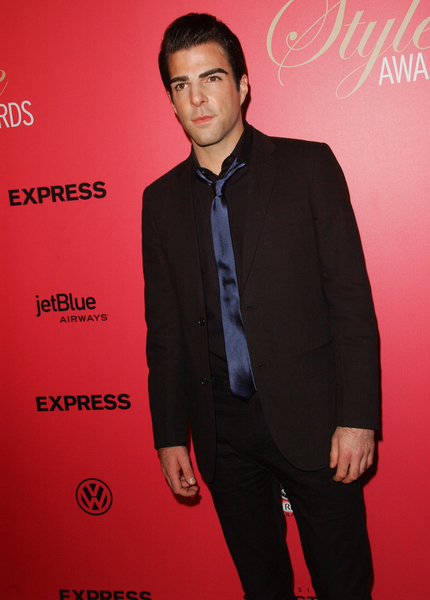 Zachary Quinto arrives on the red carpet at the 6th Annual Hollywood Style Awards held at the Armand Hammer Museum on October 11, 2009 in Los Angeles, California. Among the winners at the event were Hayden Panettiere, who won for Young Hollywood Style Icon, and Brody Jenner, who took home honors for Young Men's Hollywood Style Icon. Other awards went to Kim Kardashian (Style Siren), Selena Gomez (Style Ingenue) and Kelly Osbourne (Style Original), among others.